Sid at BDBS gave us a recommendation for this when we were last there. I was a bit hesitant since the label looks like one of those who the hell is this type beer you might find at Pier 1, but Sid was right on the mark. The backbone of this is a solid porter with plenty of roasted, nutty flavors going on. But the addition of mint takes this to 11, and really accentuates those great porter flavors. So I'm a pretty big fan of this, but given it's a seasonal I'm not sure how much longer this will be on the shelves. 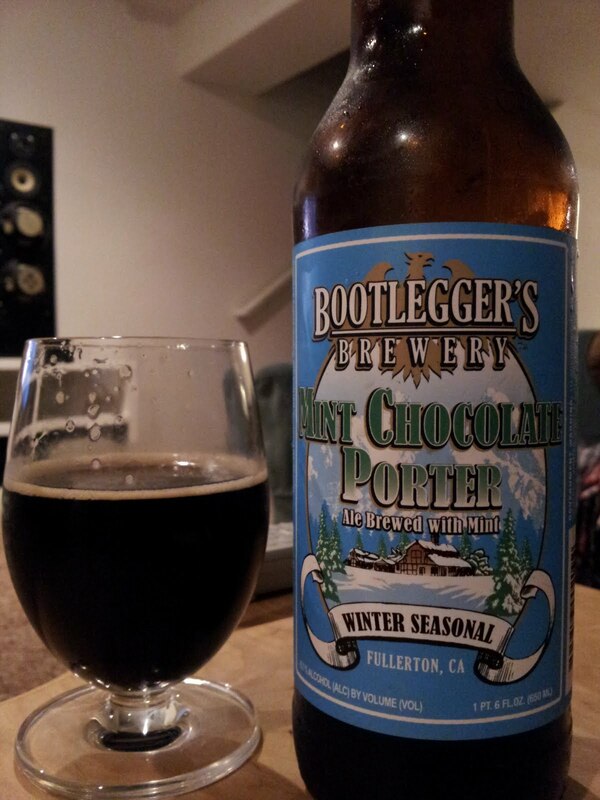 Otherwise, I'm looking forward to other releases by Bootlegger's Brewery. And a side note, is that the eagle from the Polish flag??? It's really an attractive and well described post regarding Beer .I appreciate your posted topic and wonderful photo.Thanks for sharing such an interesting post.